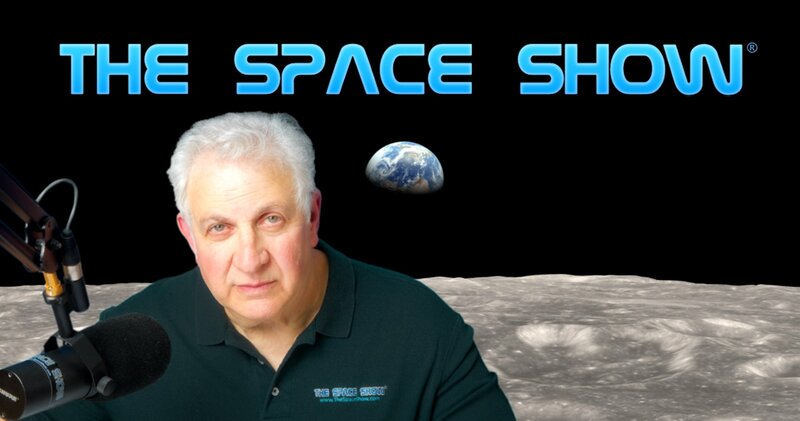 We welcomed back to the program Jay Wittner for a two segment 1 hour 50 minute wide ranging discussion regarding The Integrated Space Plan (www.thespaceplan.com), why it is important and a depiction of the likely path to human spaceflight development and progress. Mr. Wittner started the program by introducing us to The Integrated Space Plan for the benefit of new listeners and those that might not be familiar with it. Please visit The Space Plan website for this introduction and the all of our discussion. After Jay went through the development of The Space Plan and his first learning about it at an ISDC meeting in Chicago in 1989, he began breaking the plan down and discussion it in detail, including how it was made, the segments and elements used in the plan and how the plan gets updated (every two years). Since 2019 is an update year for The Space Plan, our guest addressed specific areas of update going on and how volunteers and others can help in Space Plan revisions for this year. The revised 2019 version should be out in July of this year. After introducing us to The Space Plan, we had an interesting discussion as to why we need it. You do not want to miss this discussion as it directly tied into conversations we frequently have on Space Show programs asking why space, particularly human spaceflight is important and needed. After you hear what Jay had to say on this topic and why The Integrated Space Plan (ISP) is essential, let us know your thoughts on the subject and question by posting your thoughts on our blog for this show. Several email questions were received plus we had one call from Marshall. One email asked about the international and global nature of the ISP. Jay said it was in English but they have considered other languages. That may happen in the future. Otherwise, the ISP is global and he explained how that was presented and organized on the plan. Another listener wanted to know how people could participate with the ISP other than supporting their upcoming Kickstarter or buying a copy of the plan. Jay used this opportunity to put our a call for specific volunteer help since 2019 is a year of revision for the ISP. Specifically, help was needed with social media. If you are qualified and interested, please contact Jay as he provided his contact information a few different times during our program. Before the segment ended, we discussed possible ISP rewards for their pending Kickstarter as I offered a Space Show program to certain categories of investors in their campaign. We led the second segment with a call from my fellow Okie and friend Marshall. Marshall asked Jay about the costs of a ton of mass to pace and how that had been changing with the development commercial space and launchers. Jay and Marshall talked about launch costs and mass rations and the fact that there were still uncertainties. Jay spent some time going over launch price history along with how the costs have been reduced by SpaceX, the Falcon Heavy and Musk future plans including estimates from Starship. Jay suggested we were approaching the point where launch costs will be about 10% of what they used to be. Again, we would like your comments on launch costs and these topics so please post them on our blog. Next, Jay spent some time telling us about the structure of the ISP, including letting us know the people and their experience behind the project. He also gave a shout out to other important and special key people including those on their Advisory Board. Jay received a listener email asking how specific ventures or projects showed up on the ISP and mentioned the development of space solar power (SSP) and specific rockets such as the Falcon Heavy. Another listener asked if there was a difference in how a government rocket such as SLS was portrayed compared to the many new private rockets. Don't miss what Jay said in response because it went directly to the design and organization behind the ISP. Jay was asked a similar question about the human spaceflight capsules. Listener Linda asked if Jay or the ISP would be presenting at ISDC or if there would be a booth for the plan in the exhibit hall. Jay said there would be no exhibit hall this year due to hotel space limitations. Another listener wanted to know what Jay's favorite or most exciting part was of the upcoming space development future. Jay citied O'Neilian space settlements and referenced the LEO space station possibilities as put forth by Al Globus. Al has made many presentations on this possible orbiting LEO space station so if you are not familiar with it, you can search www.thespaceshow.com for Al Globus and listen to any or all of his programs. Additional listener email questions came in. Bill wanted to know how the ISP portrayed planetary missions since they did not involve human spaceflight. Jay said such missions were important and usually shown on the ISP in the category of robotic exploration. Jay highlighted several planetary missions such as New Horizons in his answer. As we neared the end of our discussion, I asked Jay what he thought the ISP would look like in five and then ten years into the future. Don't miss what he said in response to this question. Before moving on, Jay also told us about a new produce they would be introducing for the Apollo anniversary this year, a special poster, the "New Race To The Moon" poster. Jay described the poster, talked about its pending availability and how to get it. Before Jay offered us his conclusion, we both address the humans to the Moon by the proposed 2024 timeline. Don't miss what Jay said about getting back by 2024. Jay offered concluding comments including the need to start addressing many challenges and urgent things that need our focus now. Among the items he mentioned was the need to advance cryogenic storage and refueling, make progress in developing reusable space transportation, make progress in space debris mitigation, determine the gravity prescription for humans spaceflight, develop ice harvesting for the lunar south pole, advance Bigelow and other modules and docking to the ISS to do isolated crew tests, develop a lunar lander, and start the design and deployment of a sustainable lunar base. Before the program ended, once again Jay asked for social media volunteers and mentioned that the time to act was now. By the way, I told Jay this this program was number 3,300 for The Space Show! Please post your comments/questions on our blog. You can reach Jay through me, the ISP website above, and from the contact information Jay put forth during our discussion.